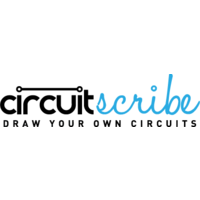 Little Bird Electronics has carried the full range of Circuit Scribe in Australia for several years. Circuit Scribe has a fantastic range of educational electronics including an excellent conductive pen that works fantastically for drawing circuits. If you are after a product that is out of stock, shoot us an email, and we can get these in within 3-5 days. It started with the sketch of an idea, the concept to turn a conductive ink developed in a university research lab into a consumer-ready product to be used by makers, educators, and the eternally curious. Co-founders Brett & Analisa worked tirelessly during PhD research to develop and refine a conductive ink that would flow smoothly from a ballpoint pen giving users the power of electricity without cumbersome wires that needed to be soldered.